Ladybugs is an delightful theme for a little girl party! 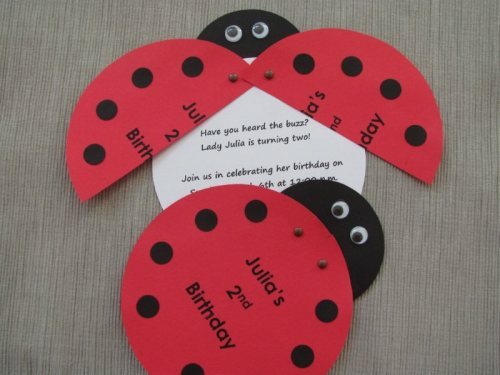 I can tell you by experience that this is an adorable party theme to have. With the classy red and black colors, and fun polka a dots, you can do so much with this theme. 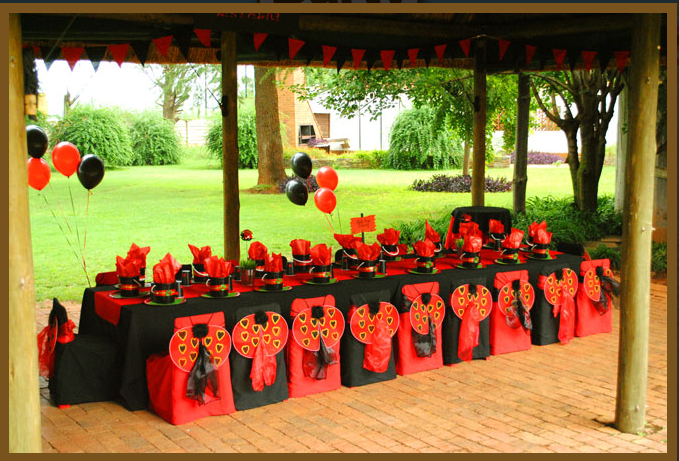 A great way to highlight your theme is with a candy table. 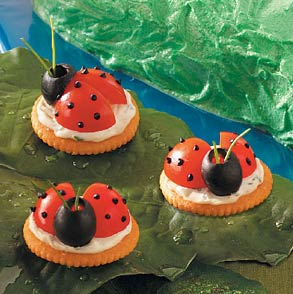 Let your imagination go......have cute, edible items to go with your theme. Pictured below are ladybug cake pops. Everyone loves cake pops! 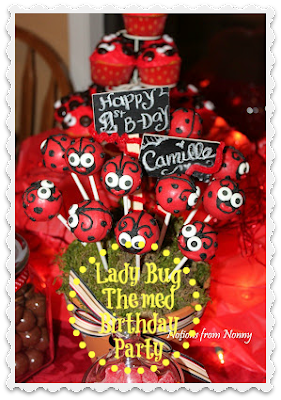 The party wouldn't be complete without a ladybug cake! It is so cute to have the birthday girl dressed in the theme. Beings that this was a first birthday......over the cake table we hung a picture banner. We had a picture represent each month of her first year. Or this posh table setting.....LOVE the chair covers! 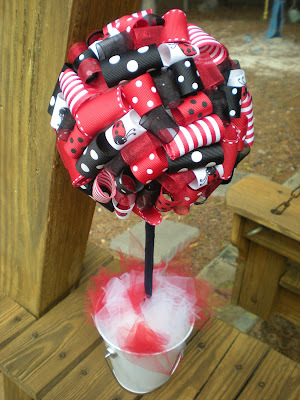 Cute idea, but your little lady bug is definitely the cutest! Adorable! The pretzels are my favorite! I love the party and inspiration! You granddaughter is a doll! 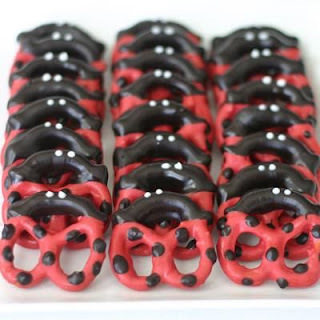 A lady bug theme looks like it would be so much fun to plan! 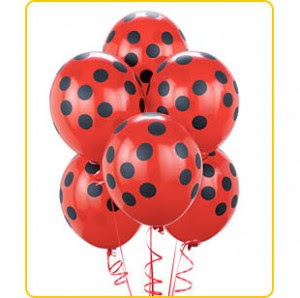 Thanks for sharing on Party In Polka Dots! Oh my, talk about about creative. I don't have one favorite, I love them all.